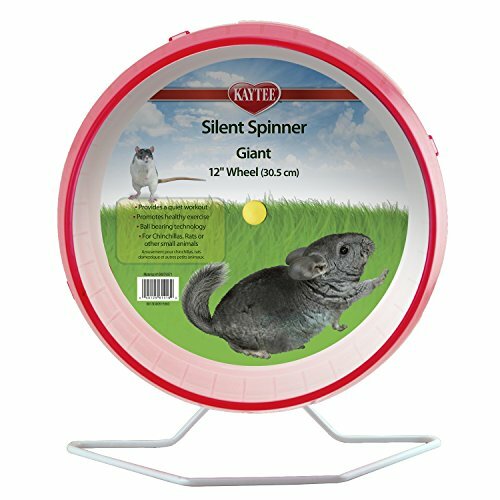 Particularly suitable for the large of the hamster population is this 12 inch Superpet Silent Spinner. It's both practical, stylish and, perhaps most importantly, very quiet! 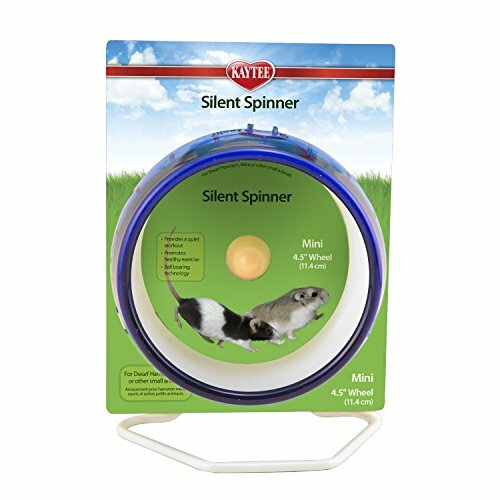 Like the other members of the 'Silent Spinner' family, this model rotates using the latest in ball bearing technology. 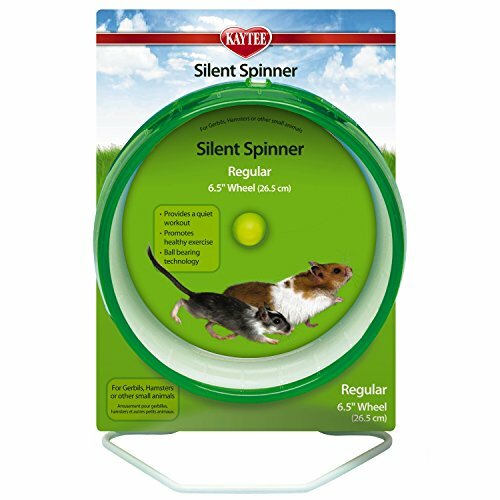 This makes for a smooth and whisper quiet rotation, sure to help you sleep at night when your hamster is running mile after mile! As it's easy to dismantle, cleaning it is a doddle. 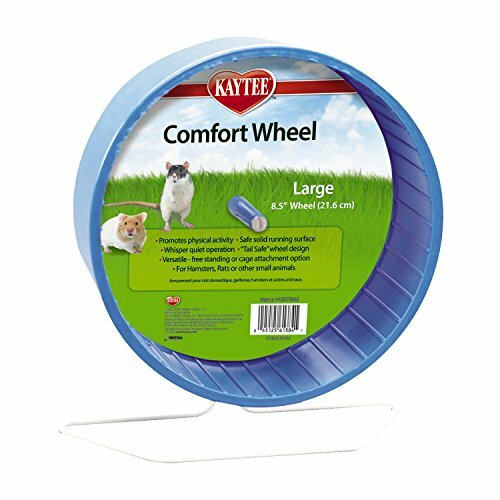 Depending on your preference (and your hamster's) this large hamster wheel can be either left free standing or attached to the side of a wire cage with clips. Either way, it's simple and versatile. Weighing in at 815 grams, it's too heavy for the dwarf hamsters out there, who won't have the strength to get it going. If you have a large, strong hamster then it should be just fine. Anything in between and you are probably best to choose a medium sized Silent Spinner. Available in purple, red blue or green - each of them equally bright and fun colours! The plastic running surface makes for arguably the safest type of hamster wheel available.